Traumatic Brain Injury (TBI) is defined as a blow or jolt to the head or a penetrating head injury that disrupts the function of the brain. Today about 210,000 people are living with TBI-related disabilities in Florida. TBI can cause a wide range of functional changes—short or long-term—affecting thinking, language, learning, emotions, behavior and/or sensation. Memory loss, difficulty with judgment and recognition of limitations, anxiety and/or depression, loss of social networking, feelings of isolation, slowness or difficulty with speech, decreased physical coordination, decreased anger management, decreased safety awareness, and difficulty initiating, planning and completing tasks can be some of the consequences of TBI. If early symptoms of a TBI appear mild, it can give the false impression that it is not serious. However, it is critical to seek immediate medical attention because there may be significant, long-term impairment in an individual’s ability to function in the exact fashion the individual functioned prior to the incident. It is not necessary for you to be struck in the head or rendered unconscious in order to experience a TBI. Every year thousands of brain injury cases occur in Florida due to vehicle and slip and fall accidents. 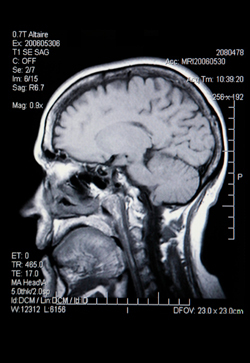 Brain injuries can also be caused by firearms or medical malpractice. The majority of brain injury victims experience permanent disabilities. Thus brain injury severely affects the victim, their family and social interaction. Brain injury victims also often require rehabilitation to regain the simplest level of functioning possible. Such injuries can drain the family of their savings however with proper representation from Williams, Ristoff & Proper the victims can seek compensation and supportive care. If someone causes a brain injury to occur as a result of negligent wrongdoing, the person or company can be responsible for compensating the injured party and family members for all of the serious of health issues that result. For example, a care home that failed to properly supervise a patient and allowed the patient to fall resulting brain injury can be help liable. In 2005, falls became the leading cause of traumatic brain injury in adults, with car crashes a close second. If you or a loved one has has been hurt due to negligence of another call us today! We will evaluate your case, provide you with our honest opinion and communicate every step of the process with you. The initial consultation is free, and work on a contingent fee basis, which means there are no fees or costs unless we win.